After a lazy morning we got motivated enough to take the dinghy out exploring. A cannery once operated in Red Bluff Bay, and the charts indicated a lake was not far above the old cannery site. We landed the dinghy with the intention of hiking up to the lake, but we didn’t get far. The forest was too thick and the hillside too steep. 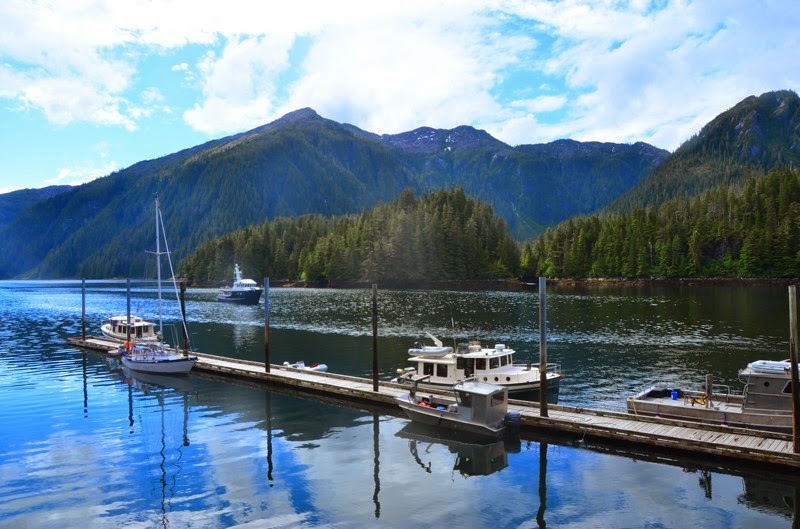 Red Bluff Bay is particularly scenic. We headed back to the boat and had a lazy afternoon. Despite frequently scanning the shoreline, we didn’t spot any bears. We took the dinghy to the head of the bay and poked around the shallows, but still couldn’t find a bear. 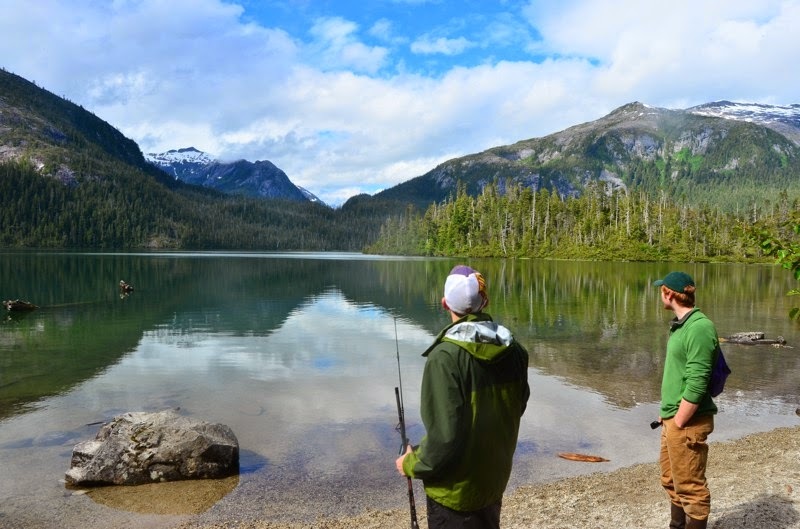 So we headed back to the boat planning to pull anchor and go to Baranof Warm Springs. Just as I was getting ready to start the engine I saw a bear on shore. We hopped in the dinghy and headed for it. 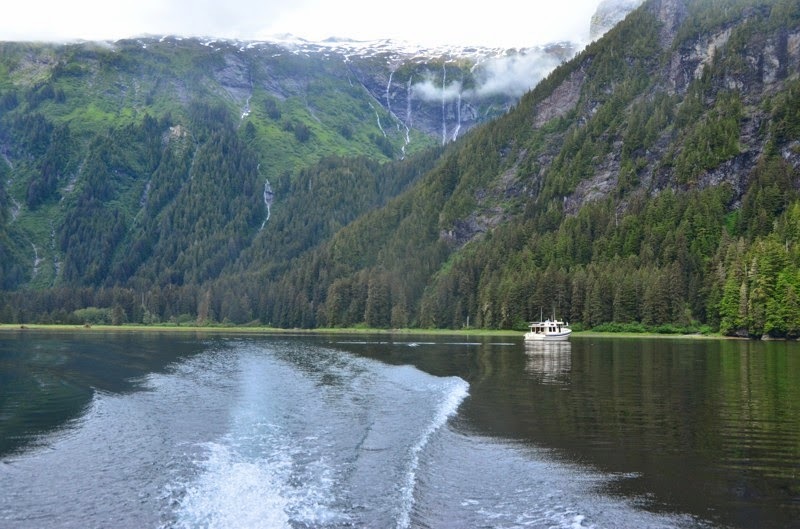 I motored into the shallow water, dodging rocks and trying to avoid scaring the bear away. 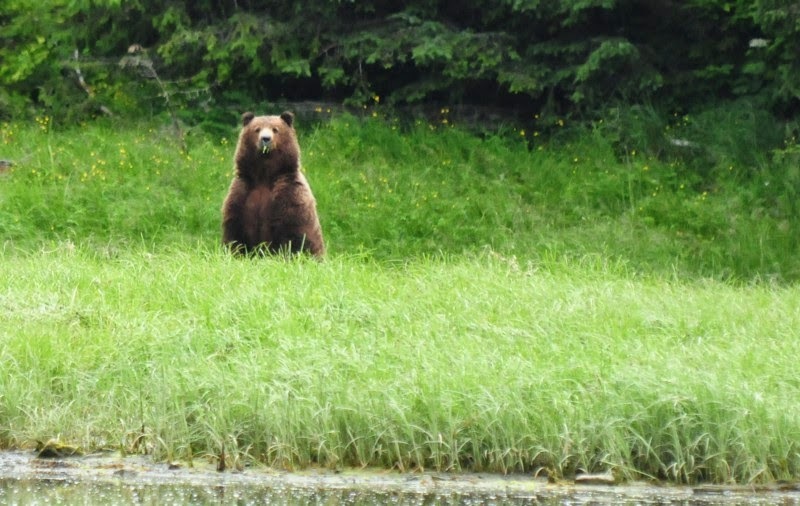 The bear came in and out of view as it walked up and down small ridges covered in sedge. Occasionally it’d stand up on its hind legs and stare at us, checking to see if we were a threat. Soon another bear emerged, equally skittish and quite far from us. After perhaps 30 minutes of watching, both bears reentered the woods and we headed back to the boat. 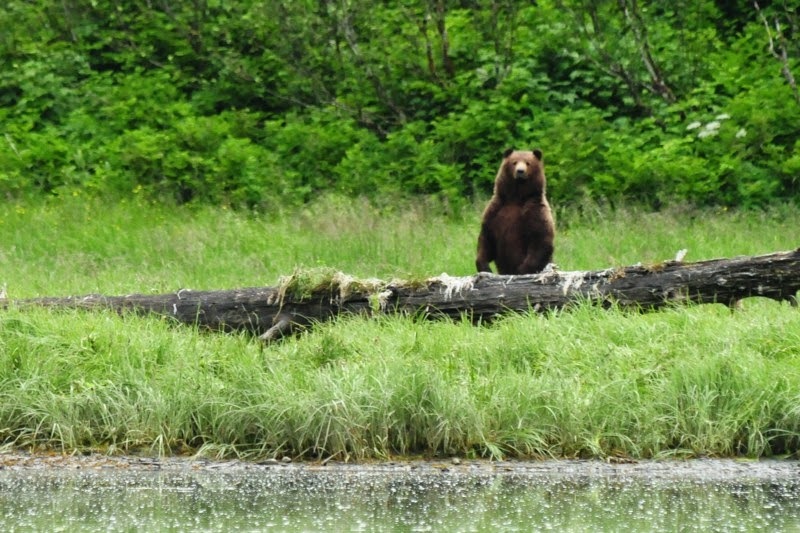 The bear knew we were there, and periodically stood up to get a better view of us. 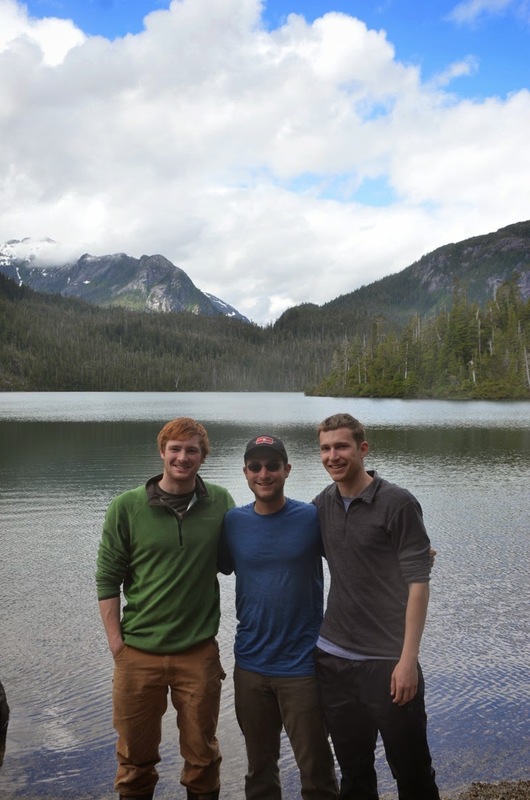 The three of us at Baranof Lake.